Zoning change upsets neighbors. When you drive the streets in your community you will pass many types of properties that required zoning approval. Here are some thoughts for you to consider. Reader Question: Our neighbor petitioned for a zoning change on property he has owned for many years. Our city has grown out past our homes. His story is that a developer approached him claiming the town wants a small strip center and a convenience store. The city says area residents are complaining they have to drive too far for essential supplies, including gasoline. Many of the neighbors are very upset with him because they fear more traffic, loitering, crime, and loss of property value with commercial zoning. My wife and I have those same fears, but we want to be objective. What is your opinion about this situation? Monty’s Answer: Zoning is a body of law designed to protect the safety, health, and the value of structures in a community all while seeking the most appropriate use of the land. Zoning is one of the many flashpoints in cities as growth demands new services. Our neighborhoods can feel threatened when the needs for further services arise. I cannot comment specifically on your situation because I am not aware of the considerations in zoning and planning there. This writer has witnessed zoning and planning matters as a developer, an affected homeowner, a representative of a client seeking to rezone and as a community citizen on many occasions. These observations as a participant playing most of the roles in zoning matters may aid in your investigation. Let us consider a glimpse of each of the participants to understand the dynamics in most every zoning application. Their job is to look out for the best interests of the entire community and administer the rule of law. The form of local government dictates the process of how the rezoning effort takes place. 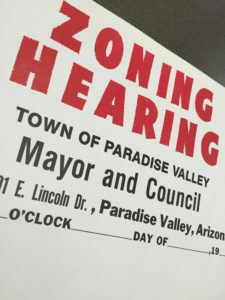 In many cities, there is a planning and zoning department that first filters zoning requests and offers guidance to petitioners as to what conditions must exist before forwarding a petition to a zoning board. How the zoning board is populated is the municipality’s responsibility. Many zoning board members are volunteers or local elected officials. The zoning board is the front line of zoning petitions. On the one hand, zoning requests can have broad community support and little neighborhood resistance, and on the other, be highly controversial and contentious events. Doing your job on a zoning board is one demanding task. The developer who will be the user, or is representing the user, of the to-be-rezoned property has recognized a new need or wants to compete against an existing service with a product under their ownership. In some circumstances, an existing business will object to a rezoning with reasons why the new company or industry is unnecessary. Competitor’s objections such as. “We have too many already,” “both of us cannot survive,” “they have a competitive advantage,” are examples of the arguments. A small development company was in the process of developing a 40-acre tract of farmland that had been encircled by the community. The city approved the master plan which designated certain parcels for commercial use. From the beginning of the project, the business use identifying certain parcels was present in the marketing material. When the time came for commercial development, a convenience store applied for approval to build a store that included gasoline. Some residential property owners that had earlier purchased homes in the subdivision appeared at the meeting in opposition. After several meetings, the municipality approved the development in spite of the debate. One of the protestors exclaimed in a meeting at that time they would “ never walk into that store. ” It has been some time, but other homeowners who attended that meeting report the boycotting homeowner is now a regular customer. A rezoning meeting is a good learning experience for citizens, young and old, to witness. Zoning meetings are a side of local civics most people never think to attend. Many people do not like change, some endorse change unequivocally, and others want to know more before they decide. Many times the neighbor’s fear is based on misinformation or unjustified myth. To witness a contested zoning meeting and study the participant’s actions can be a great lesson in human interaction.